I have leased several vehicles from car dealerships. I heard the ad on the radio promising the best monthly rates in the market, so id ecided to check them out. I was contacted right away by Misti and she seemed really nice. She was very to the point and I liked that from her. After talking a couple times she recommended a car that I was actually interested in. It was a 2013 model with 30k miles on it. She then proceded to quote me a price that I found ridiculous! The price she quoted was the same price I would pay for the exact same vehicle but a 2015 model and brand new 0miles straight out of the dealership. When I commented that I did not see any value on paying more for al older vehicle she said she would "shee what she can do" and get back to me. This was 3 weeks ago and I have not heard back from her. 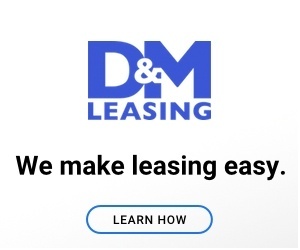 Saty clear of D&M, the prices are NOT the lowest in the market, more like the priciest for those who do not know anything about leasing....watch out! you can have a much better deal directly with a dealrship (And beware their NEGATIVE EQUITY spiel, in the end it comes down to how much you are paying per month and this is not a good deal). Review #525692 is a subjective opinion of User525692.